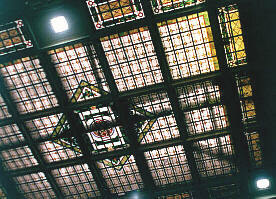 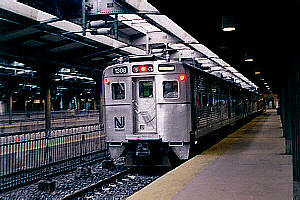 Recently, these photos were taken inside and around Hoboken's Lackawanna Terminal. 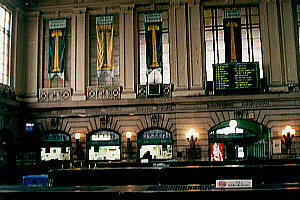 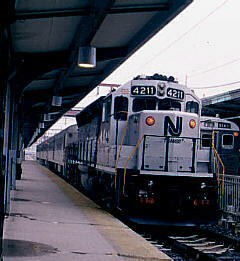 The terminal is used by New Jersey Transit, and efforts are being made to restore it. 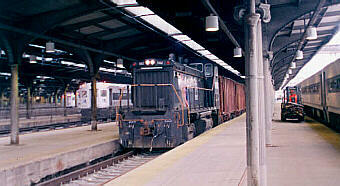 Once renowned as the most modern station in the nation, Lackawanna Terminal is a reminder of the glory days of railroading. 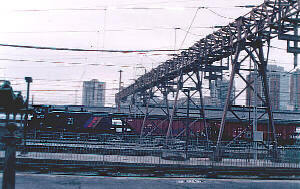 A ballast train goes under the Bush Train Sheds which protected waiting passengers from the elements. 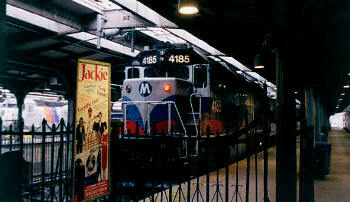 Ongoing maintenance keeps trains rolling! 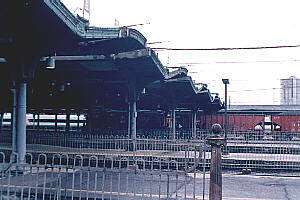 That bridge-like structure bears catenary wires for all of Hoboken's platforms!